One of the things I wanted to do when I was put in charge of services was to update the signage. Many of the signs were in all-caps and were inconsistent from one sign to the next. Tonally, I wanted the signs to be ‘friendlier’. Also, I wanted cheap, print-as-many-as-you-want signs that I can make quickly in Word and send to the printer. Here’s an example of a change in language from “Out of Order” to something a little less in-your-face, and with an offer of assistance. 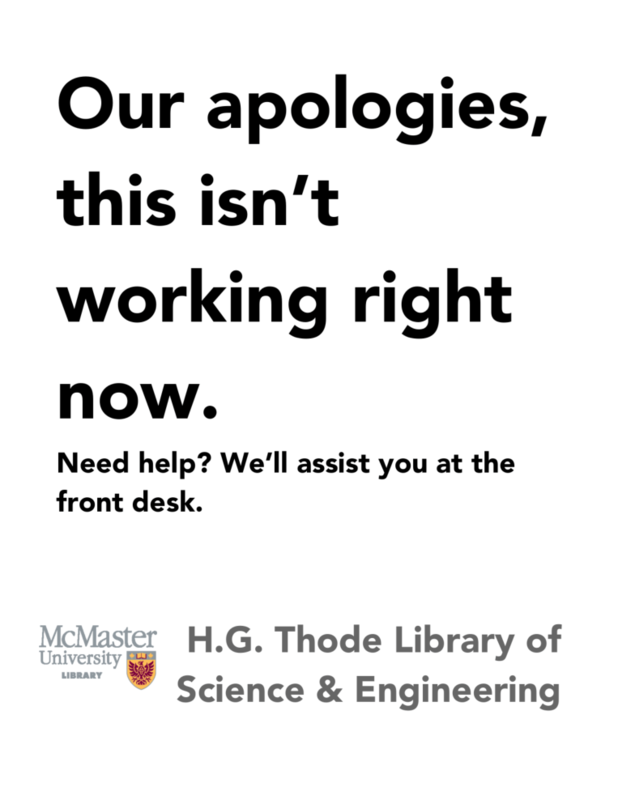 For a sign to go on the end of a bookstack. Applying the same format to a different topic: promoting an online virtual reference service. A little tongue-in-cheek. Because these are easily updated, they can evolve. 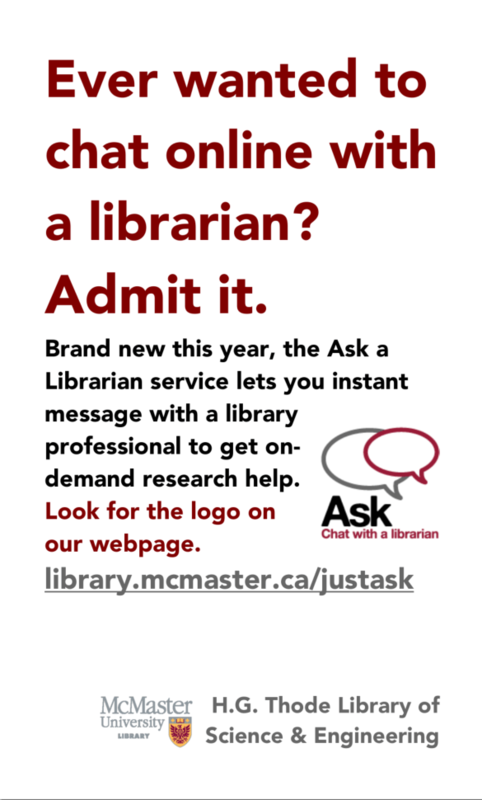 Over time, I’ve changed some language, and added the McMaster logo to maintain brand consistency. The font used for these signs is Avenir Black; if I were to create these again, I’d choose a free font that would be more readily available to others in my library.